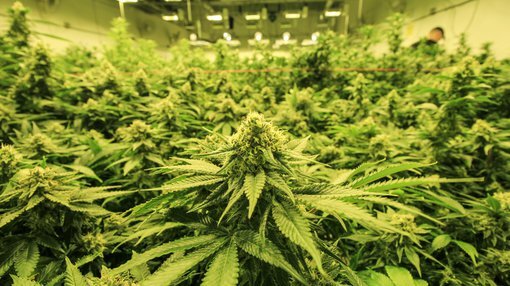 Roots Sustainable Agricultural Technologies Limited (ASX:ROO) emerged from a trading halt on Friday with the results of its Root Zone Temperature Optimisation (RZTO) heating pilot on cannabis and news that it has secured $1.62 million in financing to commercialise RTZO opportunities. Roots’ patented RZTO technology was used to heat the roots of multiple cannabis strains in a world first open field pilot in Washington State in heavy frost conditions during October and November last year. The RZTO heating system was used on eight cannabis strains in collaboration with American Farms Consulting and its clientele of licensed cannabis producers. Use of ROO’s RTZO technology resulted in average dry un-trimmed bud and leaf weight of heated cannabis plants being more than 200% higher than un-heated control crop. Results showed a 60 to 283% increase in average cannabis dried un-trimmed bud weight, while the heated plants also increased the average dried weight of cannabis leaves. This increased yield can generate substantial additional revenues for cannabis producers. The results come from a total of 81 heated plants, compared to 82 unheated plants from eight strains. The RZTO technology effectively stabilised root temperatures at optimal range despite heavy frost conditions and temperatures dropping below zero degrees centigrade. These results follow promising interim results released in December, where the average wet weight of heated plants increased by 40 – 272%. Below are the results of the heated (orange) and the unheated (blue) roots for dried flowers, and then for leaves. Roots CEO, Dr Sharon Devir said, “This successful world-first proof of concept with American Farms Consulting validates the versatility of our climate management technology. Unlike traditional heating systems, which are capital and energy intensive, RZTO effectively combats extreme external weather conditions to significantly increase yield and crop profitability. “The global cannabis market offers significant opportunities for our root zone heating and cooling technology, with promising results already achieved in both greenhouse and open field environments. The highly competitive US cannabis market is increasingly adopting ag-tech solutions, which lower initial capital outlays while maximising crop production, quality and profit year-round. Chief executive at American Farms Consulting, Mr Elad Kohen said, “Roots’ RZTO heating technology can enable our clients to mitigate the risks associated with growing high-value crops in open fields or light deprivation tunnels. Despite difficult growing conditions, average dried bud weight increased substantially – this can result in increased income and reduced risk. We are excited to continue to work with Roots to solidify their technology as a truly helpful method for a profitable and sustainable future within our industry. To fast track the commercialisation of ROO’s RZTO opportunities, the company has secured up to $1.62 million via the issue of convertible notes to CST Capital, as trustee for The CST Investment Fund.